Forty years after debuting service in Michigan, the Amtrak Blue Water line isn’t what it used to be. 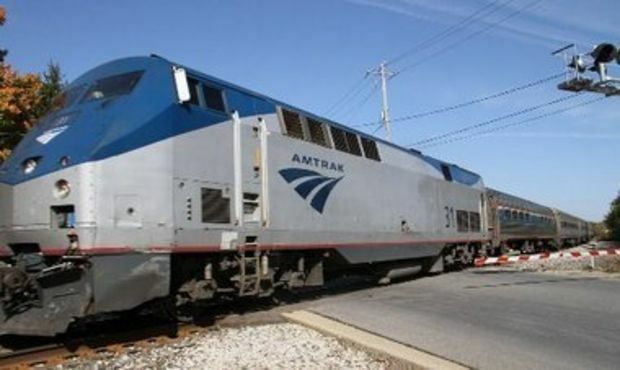 Recently Amtrak has added features like wireless internet and bicycle racks to its Blue Water train cars. Train speeds have increased to 110 miles per hour on one portion of the line, and ridership in 2013 hit a record high of 191,106. On Oct. 1, the train line will celebrate with an extra café car, commemorative gift bags for passengers and discounted tickets. You’ll need to act fast for the ticket deal, which kicks in when a customer purchases one ticket – that allows them to purchase a companion ticket for 40 percent off. It’s valid on tickets purchased through today, Sept. 30, and rides through tomorrow, Oct. 1. “It’ll be festive,” said Amtrak spokesperson Marc Magliari. The train line debuted in Michigan in 1974 as the Blue Water, but in 1982 was changed to be the International Limited, which ran between Chicago and Toronto. In 2004, it was converted back to the Blue Water. It’s been much more successful as a Michigan train than as a Toronto train, particularly after 9/11 because there were significant delays at the border crossing,” Magliari said. The route currently serves stops from Port Huron to Chicago. It stops in Lapeer, Flint, Durand, East Lansing, Battle Creek, Kalamazoo, Dowagiac, Niles and New Buffalo. Today’s route is oriented to get Michiganders from one side of the state to the other and back in the same day, Magliari said. Amtrak operates in Michigan with a subsidy and support from the Michigan Department of Transportation.